For newcomers to spirituality, personal awakening, “the ascension”, or expanding awareness – if not already I suggest you do a web search on “ascension symptoms”. 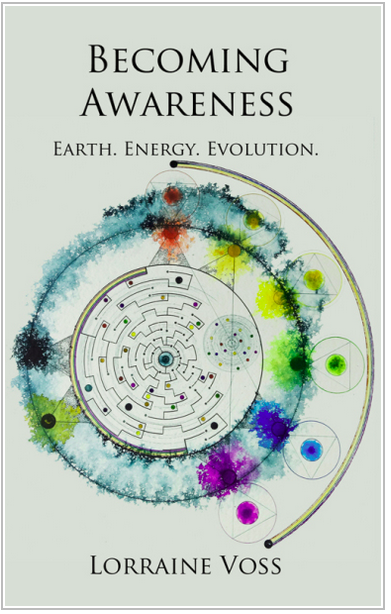 Perhaps also read up on awareness and enlightenment platforms like Stillness in the Storm, Transients.info, Destroying the Illusion, Exopolitics.org, and the channeler Aluna Ash. While some of these sites may not discuss “traditional” spirituality in the sense of mysticism and things mysterious, on your journey you’ll find that many so-called mystical experiences have been shared by literally thousands of people out there on the web, thus rendering these experiences (including the aforementioned “ascension symptoms”) not so mystical. They are more commonplace now among many people than you could ever believe. Among the many ascension symptoms is the much-intensified dreaming people are experiencing. In recent years, and especially in recent months (as I write this in late 2018), people will enjoy intensified dreaming. Dreams will be seemingly inexplicably become more and more vivid and… real! This “dream” was as real as me writing these words, and as you sitting there reading them – but perhaps even more so – “more real”. It was that intense! It began with me on a hilltop somewhere in the countryside overlooking a mid-sized city. I was sitting there in the sunshine with a circle of friends, one of whom I recognized from my everyday “3D” life. As we sat there talking together, a large passenger jet took off from a nearby airport. At first glance it appeared to be a passenger plane, but immediately after it took off, it began spewing the tell-tale streams of chemtrails that we commonly see criss-crossing the otherwise beautiful blue skies of the 3D earth-ship. We all watched in intense curiosity as the plane arced across the city skyline, unabashedly dumping its filthy cargo. Suddenly we observed the plane begin to disintegrate in a curious fashion: It didn’t really seem to fall apart as in an explosion or a preface to crashing into the ground. Rather, it crumpled and began to disappear in mid-air. As it did so, its its toxic mid-air trail of chemicals disappeared, and the ongoing disintegration was accompanied by a loud thundering sound. My friends and I watched in wonder as the metal bird suddenly disappeared from view. Suddenly one or two translucent see-through spheres fell from the former site of the craft and struck the ground beneath the plane. These spheres seemed to have a lattice-work pattern that contained an otherwise translucent water-like interior. There were at least two spheres that I saw, and they struck the ground rolling, with one of them rolling almost directly toward my circle of friends gathered on the high hilltop overlooking the city. There was a mutual telepathic feeling of concern that the sphere would strike us, but I put forth the assurance that we would be safe. And indeed we were. The icy sphere was huge, perhaps 100 feet (30 meters) in diameter, and it crashed and rolled on over the hilltop on which we perched. passing us safely to the left, and not to be seen again. As for the other sphere, it seemed to have crashed to the ground and gone in the opposite direction, likewise not to be seen again. There was a momentary feeling of concern that the city and the people beneath may have been harmed by the sphere’s impact – but again a silent-but-strong (telepathic) assurance arose telling all that everything and everyone would come to no harm. In a moment the airplane disappeared in mid-air, devoured by a small portal in the sky that seemingly had been crafted for that very purpose. At that moment, something fantastic happened. I felt a powerful rise in the ambient energy in our vicinity. Everything everywhere around us began to turn a brilliant white. The scenery around us looked like a photographic image that was progressively and quickly becoming overexposed. There was no heat, no fear – just a sudden growing brilliance. There was something within me that knew exactly what this was, had been long been expecting its arrival. Thus my body was somehow not the least bit surprised in its appearance. As I sat there, my body immediately adjusted itself to correctly take in this flux of pure energy: My spine straightened up as I sat on the ground. My head had been turned to the right as I had been watching the airplane, but now snapped to dead-center, looking directly in front of me in preparation for receiving this energy. The energy came as a visible wave that seemed to spring forth upwards from the earth, as this was a gift of awareness from Gaia herself. As it came forth, all in its path was illuminated by its overpowering brilliance. The wave steadily approached me and the friends I was with. And as it entered my being, my body became rigid. I experienced the most blissful rush of excitement that I can only describe as a kind of “kundalini rush”. A surge of the most intensely upsetting yet lovingly assuring energy. Among those people sitting near me were some young folk not well-versed in receiving the gifts of such overwhelming energy. They were momentarily afraid, but the fear passed – for a message arrived that seemed to say the experience was not only a blessing that would indeed transform the entire world, but brought with it the assurances of a warm and loving sense of safety so that everyone would be able to enjoy what was to transpire in the wave’s wake. As the wave passed, the whitish overexposure of the surroundings subsided. In those few seconds that followed, I observed certain features of the landscape in mid-change: A building that was under construction in the city’s downtown district disintegrated and disappeared in a fashion similar to the way the aircraft had gone. A telepathic message (likened to a moment of “silent knowledge” as described by the shaman-anthropologist Carlos Castaneda) told me that the building had been funded by illicit monies derived from stolen taxes and dirty dealing at the expense of the suffering of many people – now cleansed and made right on this new “adjusted Earth reality”. Likewise, across the city other large swaths of buildings disappeared. In their place appeared many lush green parks and other “natural spaces” in the middle of of the city limits. Where before the wave’s arrival I remember the overall feeling of city as having a definitively “metro” kind of big-city feeling akin to larger cities like New York or Chicago, the city now in its post-wave state was markedly different. The city still felt sizable. But I definitely felt that this city, it businesses, and many inhabitants had established themselves with an first consideration towards an ever-present respect – and indeed an immense Love – for the land and the earth. The wave had passed. And the few seconds it needed for this New Earth to make its final adjustments likewise passed. The whitewash of brilliance I described previously had subsided – but not all of it. There seemed to be an obvious yet comfortably subtle lingering brilliance to everything (the channeler Aluna Ash speaks of this whitish phenomenon in her videos, and I have seen it several times in my 3D life experience). It’s like everything was glowing, but not so bright as to overpower one from paying attention to one’s affairs in this new world. Yes, there was a sustained sense of wonder and beauty in this new world. But it was balanced; allowing one to bask in an appreciation of the scene while still acknowledging one wasn’t really walking on clouds, but definitely on a land of practical wonder. The friend I recognized from 3D stood up from the ground with me and we looked around. From the hilltop I could see people in small shops halfway down the long hillside, people lining up to get into the shops down there to “buy” goods. Somehow, my friend and I were able to instantly transport ourselves onto the street outside the shop to see what was happening. Upon first glance I thought the people had gathered outside the shop in a rush to clear the shelves of its supplies like food and water. The image that came to mind was of wartime countries of the 3D world, where people stricken by famine and shortage lining up in mad rush to receive their war rations. But this was not the case now. All of these people were indeed excited by the sudden profound change that had just occurred in the city. While there may have been some anxiety at what had just happened after the wave, the feeling quickly transformed into a sense of curiosity at this new world. These people had come together at these small shops to meet one another, to compare notes and to see what awaited them in the stores. After some time these same people were laughing, lovingly embracing one another, recognizing each other somehow despite never having met each other in the conventional 3D world. It was utterly beautiful to witness all this. I ventured into the shop and saw it was unlike any other I had seen. This one seemed to specialize in the “sale” of beverages. But what was different was that the liquids were displayed in huge ceiling-high glass vats filled with various drinks of different flavors. At the bottoms of these vats were spouts that one could turn to open a stream of the drink to fill a mug or container. I noticed that there were absolutely no disposable cups or straws in sight. No waste. No litter. This shop was set up assuming the shopper had brought their own cup or container with them. Nearby were other shops that sold other goods. I noticed that the containers that these folks brought were small. So, assuming they were getting a drink not only for themselves, but the family they had waiting at home, they would perhaps need to return to this shop several times a day. I received a message saying that this was okay, because these people loved seeing each other – and that fetching water or a beverage in this central meeting place was the perfect excuse for just this. Immediately outside our little shop were tables and chairs where people could sit and talk together. The chairs were made of something organic, like wood. But not like any regular wood I’ve seen before. I had mentioned the drink refreshments in the shop filled large glass vats with spouts. And these vats were placed upon sturdy simple tables in a room with walls painted with soft pastel colors – much like the walls of some brightly decorated shops I have seen in some touristy spots in northern Mexico or Sedona, Arizona. The drinks were mostly water of various flavors. Some were of fruit, some veggie, and some other flavors I cannot describe. I then understood somehow that this was a “small community shop”. It served the neighborhood nearby as one of the few places where one could get these flavored beverages. I saw that if you were to walk some distance away from here, you would enjoy a pleasant lapse of civilization replaced by some beautiful countryside. But then you would come across another “village” or community of varying size and complexity, with similar stores for various needs. If you were to walk directly downhill, you indeed would come across the “city” I had seen below. A city like this could serve as a nice respite from the too-quiet climes of living in a village. Indeed there were people who lived in this city full-time, as they wished not to live in the countryside or a village. I saw that unlike the cookie-cutter “strip mall cities” commonly strewn across 3D America, each village or city was uniquely different from one another. This made the trip for any traveler from one place to another both a pleasure and a wonder-filled newfound discovery. Indeed each place was unique. I assumed that there were animals among the people. But in thinking about this now, I never saw any. Hmmmm. No cars or other mass transit vehicles. I don’t remember seeing any food. People everywhere were at peace. While some people were outgoing, others were pensive and quiet. But the overall feeling was of love, gratitude, and good-will both to oneself and others. All lived in an ever-present awareness of a mutual love and respect for the Mother Gaia / Earth. The industrial agriculture problems were somehow solved. No doubt what I saw was a world inhabited by many people, plants, animals, indeed many beings. But among such abundance of life, there was no doubt a demand for high volumes of supplies. But all this was addressed somehow. For example, the drinks were made in large vats in an industrial setting to supply the masses. But they were not produced in such quantities that the drinks didn’t taste homemade.Also for example were the chairs. They may not have been actual wood, but were made of some kind of organic material that authentically was made of wood. This “real fake wood” reminds me of whistleblower testimony (from Bill Thompkins and Corey Goode) regarding some captured alien spacecraft being made of a “living organic” material that was able to “heal” itself from damage (like from being struck by a meteorite). A similar application of “real fake” materials were the stones of the Mayan and Egyptian pyramids and other edifices around the world (most recently found in Bosnia, Antarctica, etc.) – all made of real stone that was not carved, but had been spontaneous materialized on-the-spot, and custom fit to seat firmly against the stone adjacent to it. Just like these wooden chairs were, no two chairs were alike. Custom-made but they were somehow mass produced.Previously in this article, I mentioned people came to “buy” supplies that were for “sale”. So as for money, I’m not sure exactly how this worked in this world. During my exploration of this world, I remember running across some kids who were chasing each other down a stairway. I asked them about how money worked in this place, and they smilingly flashed me some white badges with a magnetic bar on them. The badges were on a tether, and they had a pre-loaded value on them that they bought with cash so they didn’t need to carry all this cash around. The money bills they showed me (telepathically) were slightly thick stubby paper-like palm-sized tickets with black and green detail on a mango-and-pink background. Pretty, but not too ornate. I didn’t get a good enough look at the bills to see what denominations they were in. To these kids it seemed like the whole money thing was a joke anyway. (For the adults I met later, they just smiled at the topic without speaking of it.) In a moment the kids started laughing at my further questions and ran away, chasing each out of the building I was in at that moment. Many hints and sudden unspoken moments of realization were conveyed telepathically. As I recall now, almost all the “verbal” communication I had with the people in this place was all telepathic. This is a trait of the new world and the emerging human race that Aluna Ash also speaks of in her ongoing yootoob readings. I’m not sure what all this was about. But it sure was beautiful! This “dream” happened around the time when the folks from Schrödinger’s ÖTHER Cat wrote this about these sudden timeline shifts on the very same day. Certainly the timelines are a-jumpin’, and the adventure doesn’t stop here! A few days ago, I wrote about a partial dream seeing a Cosmic Nova Gaia emanating a bright, intense white light, This would tie in the same timing of your dream and the messages on SOC’s blog. I wrote this on the thread called The Event is Upon Us, on Transients Round Table forum. I haven’t read Aluna Ash, so I don’t think she was the source of this dream-thought. What I didn’t mention on the thread was that on the ground, there were a lot of signposts showing new tracks (walking paths that were very comfortable and easily graded) which would take people to places of interest. Cars/automobiles were nowhere to be seen. In other words, the distances between the places were walkable. It was as if one of the new ways to enjoy life was to explore the natural environment by walking around, going to a waterfall, for example. The signposts had the name of the place where you currently were, and the place the path led to. Thank you for sharing your very detailed dream vision. For me it is yet another confirmation that my own awareness is tracking the potentials that we are collectively facing.